Sky shares jumped to an 18-year high today as investors bet a transatlantic battle for the European pay-TV group had further to run. This comes after Comcast's $34 billion bid trumped an offer from Rupert Murdoch made just hours earlier. Comcast, the world's biggest entertainment group, said last night it had the backing of Sky's independent directors for a £14.75 a share offer that came just 16 hours after Murdoch's 21st Century Fox bid £14. The speed with which Comcast's Brian Roberts counterbid shows how determined he is to buy Sky, which broadcasts sports, films and TV shows to 23 million homes across Europe. Sky's shares rose to as high as £15.41 today, valuing it at £26.4 billion - $35 billion - as investors bet the bidders would have to pay more to secure victory. Sky's shares are up 95% since Fox made its first bid in 2016, and have risen 55% in the last year. The fight is part of a bigger battle being waged in the entertainment industry as the rapid growth of Netflix and Amazon force the world's traditional media giants to spend tens of billions of dollars to keep pace. Comcast and Walt Disney are locked in a separate $70 billion-plus battle to buy most of Fox's assets, which would include Sky, and Disney is backing Murdoch in his pursuit of the British company. Murdoch already owns 39% of Sky, which he helped to launch. The standoff pits the industry's biggest names against each other, with Roberts, the Murdoch family and Disney's Bob Iger engaged in a multibillion-dollar game of chess to reshape the global entertainment business. The three are at a tech conference in Sun Valley, Idaho. Shareholders in Fox will vote on Disney's $71 billion bid on July 27. Comcast, which made a $65 billion all-cash offer for the Fox assets last month only for Disney to raise its bid, would need to return before that date if it is to give investors enough time to consider its bid. That means the next instalment of this drama is likely to move to the US. A second event-driven fund manager invested in Sky questioned whether Comcast was seeking to force Fox and Disney to do a side deal and sell it some Fox assets in order to end the bidding war. In Britain, a 60-day timetable is set in motion once the second of the two bidders has published its offer document, according to rules set by Britain's Takeover Panel. If there are still two live competing bids by day 46 of the timetable, the Panel typically runs a five-day auction process to resolve the situation. For now, investors are waiting to see what Murdoch will do next. Fox released a terse statement last night saying it noted Comcast's offer. 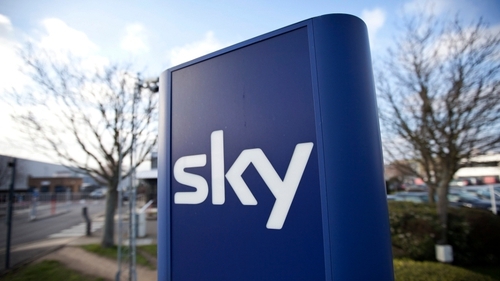 The group received regulatory approval to buy Sky from the British government today - almost 20 months after it requested it. The UK government had repeatedly delayed its approval for fears that Murdoch, the owner of two of the biggest selling newspapers in Britain, would control too much of the media. Murdoch helped to launch Sky in 1989, building it up to be Britain's dominant pay-TV provider through its ownership of Premier League soccer, US drama and films. It now offers satellite TV in Ireland, Austria, Italy and Germany, and streaming services in Spain.